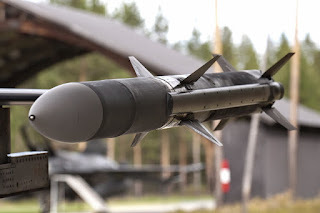 JAKARTA, -- An Indonesian parliamentary committee that oversees the country's defence procurement budget has approved a request by the Indonesian Air Force (Tentara Nasional Indonesia - Angkatan Udara, or TNI-AU) to acquire air-launched missiles worth USD38 million. A TNI-AU source told IHS Jane's on 30 December that the systems approved for acquisition are namely the Kh-31A and Kh-31P short-range air-to-surface missiles (USD24 million), the Kh-59ME powered stand-off weapon (USD18 million), and the AIM-120 advanced medium range air-to-air missile (AMRAAM) (USD6 million). An AIM-120 advanced medium-range air-to-air missile.